Take the pencil and start sketching. You don't have to worry if it's not done completely right. You just have to understand what is happening to the shapes. 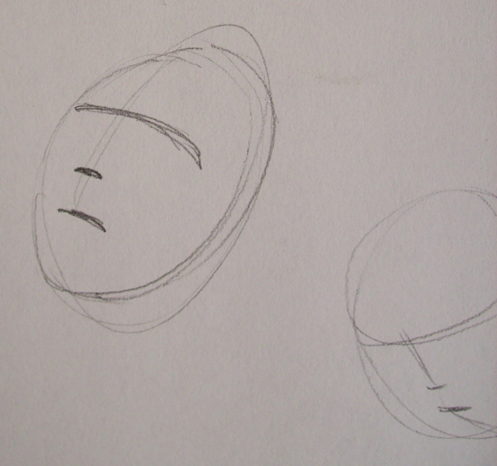 Copy the head (the egg) in every position, using different angles, on one way or the other. 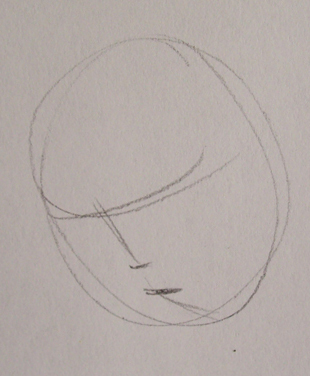 Do it loosely without worrying about finishing the picture well.